Sump Pumps Services In Edmonton | J.W. Brian Mechanical Ltd. Avoiding a basement full of water? Enter the sump pump. 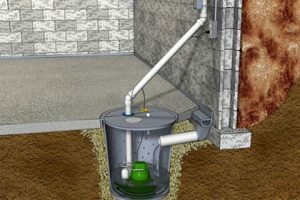 Simply put, sump pumps are one of the most important plumbing systems in your home or business and yet are one of the most overlooked. Often little or no thought is given to them until there is a flood in your basement. J.W. Brian Mechanical recommends using only high quality sump pumps along with a backup sump pump and alarm system. There are several types of backup sump pumps available, including battery powered and water powered units, ideal for power outages. Alarms can be as simple as a water sensor near the sump pit activating an alarm in the house to ones that are tied into your home security alerting you to imminent flooding via your smart phone.